The rapid growth of the retail / FMCG industry and the increase in customer demand led to evolve a new edge shopping experience – Omni-channel Retailing. Moreover, to stay competitive in the market, accurate and timely stock information is critical for retailers to avoid insufficient inventory levels resulting in lower sales and customer dissatisfactions. Establishing a key differentiator is vital for retailers. 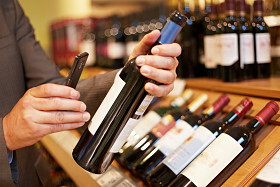 By incorporating Mobile and RFID technologies to inventory management, in-store data such as shelf availability and inventory level can be instantly reported. It facilitates operations to make timelier decisions for quicker replenishment to increase sales. Supply Chain Track and Trace Solutions enable the connections of suppliers, distributors and retailers to share up-to-date information among various parties via a centralized services platform. It facilitates visibility of both information flow and physical flow of the products. In addition, Queue Busting and Mobile Point-Of-Sales Solutions (MPOS) offer higher throughput and operational flexibility in the checkout process. It helps empower flooring sales representatives to directly engage with customers and meet their demands to generate more sales. Copyright 2014 © Schmidt Electronics (S.E.A.) Pte. Ltd. A member of Schmidt Electronics Group. All rights reserved.